Choosing where to get your corgi from is an important decision. A reputable breeder is not only someone who raises the puppy, but one who will be around for the remainder of the dogs life as an information source and support system. 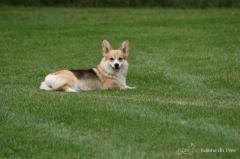 A reputable breeder will happily provide information on the health testing of the parents and will be there if for some reason you can no longer keep your corgi. Maybe reputable breeders have lengthy waiting lists and you may be expected to wait to add your puppy to your family. Finding the right breeder that is willing to work with you and your pup over their life is the most important decision you can make on your way to getting a dog. A dog is a lifetime commitment.